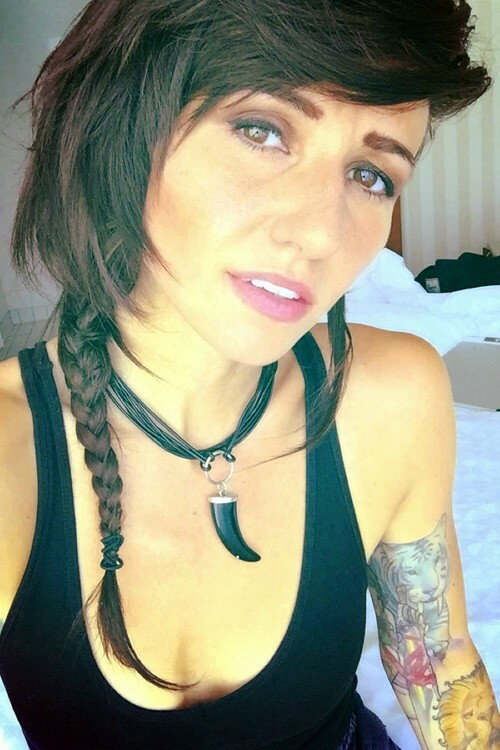 Lights at the iHeart Radio Music Festival – Day 2 arrivals at the T-Mobile Arena in Las Vegas, Nevada on Saturdy September 23, 2017. 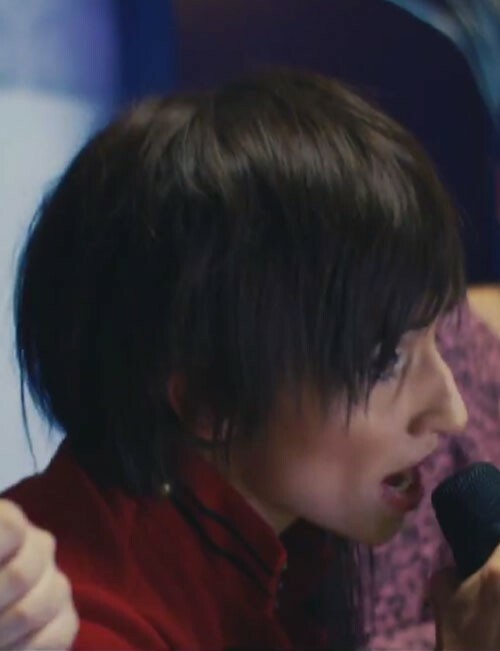 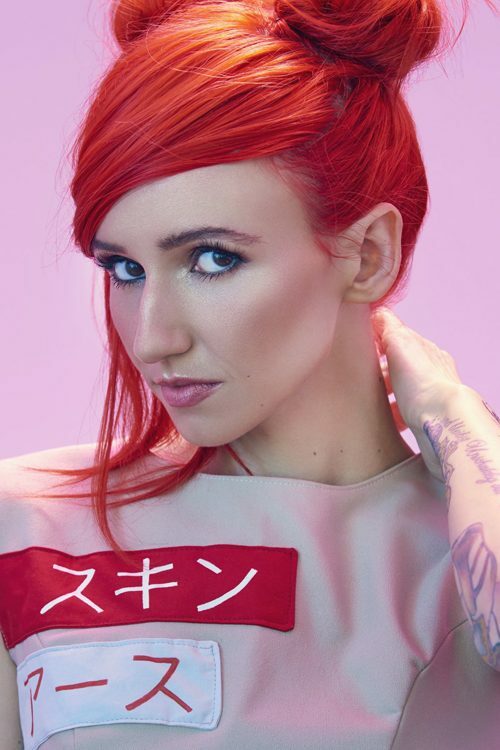 Lights has her red hair styled into two buns and faux sideswept bangs. 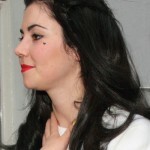 LIGHTS dies her hair in bright red color. 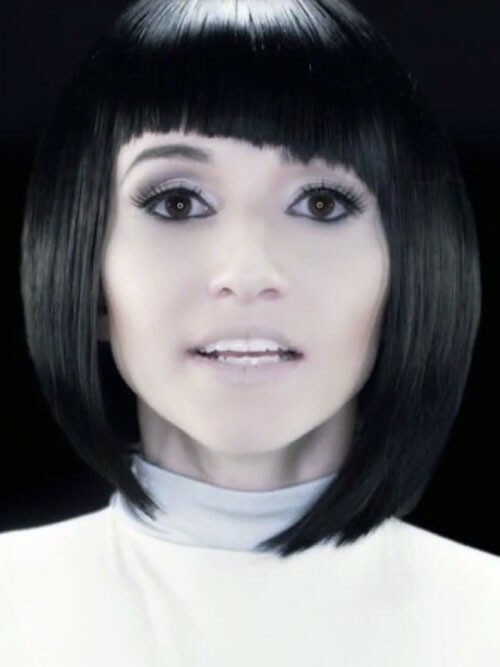 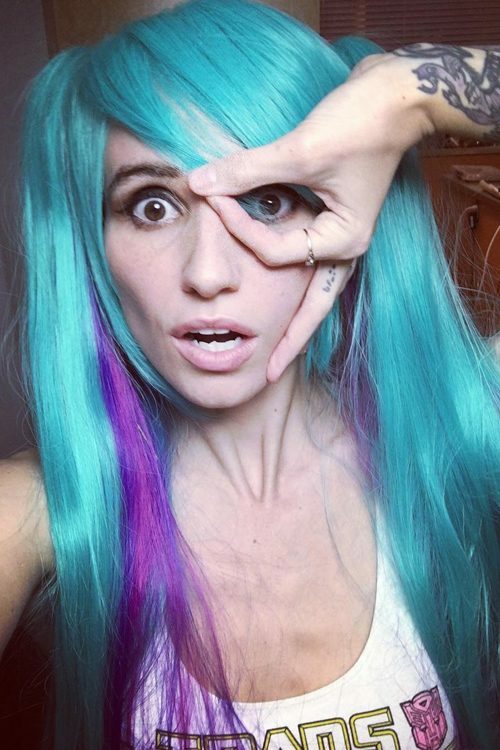 LIGHTS Poxleitner wears a turquoise-blue and purple wig.